Amidst the current investigation into sexual assault allegations against Judge Brett Kavanaugh, the stark contrast between what women and men say they do to prevent sexual assault have emerged on social media in the form of a chart. Whenever Jackson Katz asked people during lectures what they did each day to prevent being sexually assaulted, the responses in the “Women” column on the board would fill up fast. For the men, the responses were typically more direct and didn’t go beyond a single answer: “Nothing. I don’t think about it,” they usually would say, according to Katz. 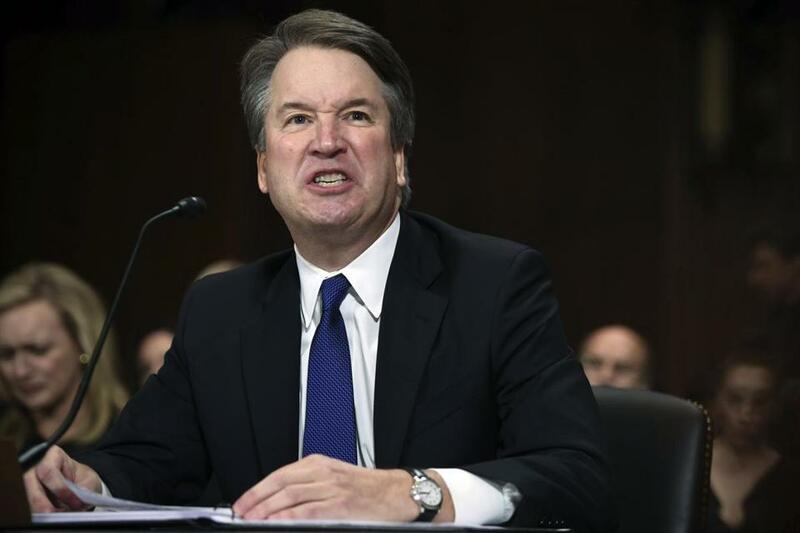 But amidst the current investigation into sexual assault allegations against Supreme Court nominee Brett Kavanaugh; President Trump’s comments this week about it being a “very scary time for young men” in America; and the momentum of the “Me Too” movement, the frightening comparisons have emerged on social media in the form of a chart that’s gone viral. Katz, a leader in the global movement around how men can promote gender equality and prevent gender violence, isn’t sure of the origins of the chart that’s being widely shared online. But in recent days, it’s been cropping up on Twitter, Facebook, and Instagram, often with the hashtag #believesurvivors. Meanwhile, others have posted the preface from his book verbatim online. While his name has been attached to the chart, which was based on his book and the exercise he often conducts during lectures, Katz said he can’t take full credit for the idea behind it all. In all the years that he’s been doing the exercise, however, the results have almost always been the same. Katz, a Harvard Graduate School of Education graduate and North Shore native, said he’s encouraged that people are using the content on social media because it enables the message to go farther. He said he views the dissemination of the chart on social media as a good chance for women’s experiences with physical and sexual violence to be heard and validated, while at the same time giving men the opportunity to witness — point-blank — what women go through every day. “And I think women are eager for that,” Katz said. This one is for keeps. Young men ?should be afraid? huh? Social scientist Jackson Katz, asked men what they do to Not be sexually assaulted. Then he asked women.